صادقی, محمد, پل, محمد حسین. (1394). بررسی تجربی تاثیر عوامل و پارامترهای موثر پانچ بر خواص نفوذ شبه استاتیکی برش پانچ در چند لایه‌های کامپوزیتی شیشه/اپوکسی. علوم و فناوری کامپوزیت, 2(4), 13-22. محمد صادقی; محمد حسین پل. "بررسی تجربی تاثیر عوامل و پارامترهای موثر پانچ بر خواص نفوذ شبه استاتیکی برش پانچ در چند لایه‌های کامپوزیتی شیشه/اپوکسی". 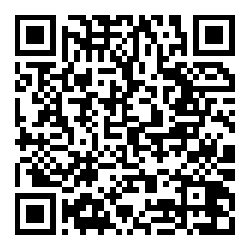 علوم و فناوری کامپوزیت, 2, 4, 1394, 13-22. صادقی, محمد, پل, محمد حسین. (1394). 'بررسی تجربی تاثیر عوامل و پارامترهای موثر پانچ بر خواص نفوذ شبه استاتیکی برش پانچ در چند لایه‌های کامپوزیتی شیشه/اپوکسی', علوم و فناوری کامپوزیت, 2(4), pp. 13-22. صادقی, محمد, پل, محمد حسین. بررسی تجربی تاثیر عوامل و پارامترهای موثر پانچ بر خواص نفوذ شبه استاتیکی برش پانچ در چند لایه‌های کامپوزیتی شیشه/اپوکسی. علوم و فناوری کامپوزیت, 1394; 2(4): 13-22. در این مقاله تاثیر نسبت قطر موثر نمونه بر قطر پانچ و سرعت بارگذاری و شکل هندسه نفوذکننده در رفتار خواص شبه استاتیکی برش پانچ (QS-PS) در کامپوزیت‌های چندلایه‌ای به‌طور تجربی بررسی می‌شود. مواد کامپوزیتی از 12 لایه الیاف شیشه با بافت دو بعدی با چگالی سطحی g/ 200 به‌روش لایه‌چینی دستی ساخته شده است. سیستم رزین نیز از یک اپوکسی، دیکلیسیدیل اتر بیسفنول نوع آ با نام تجاری ایپون 828 به‌عنوان پایه و از سیکلوآلیفاتیک آمین اصلاح شده با نام تجاری اف205 به‌عنوان سفت‌کننده ساخته شده است. در این پژوهش از دو نسبت دهانه 5 و10 و از سه نرخ کرنش mm/min 5، 250 و 500 و همچنین از سه نفوذکننده‌ی تخت، مخروطی و اجیوال استفاده شده است. نتایج حاصل از بررسی نسبت دهانه‌ها نشان می‌دهد که با کاهش نصف اندازه‌ی نسبت دهانه، تغییر شکل صفحه هدف کمتر شده و نیروی تماسی تقریباً 20 درصد افزایش می‌یابد. نتایج برش پانچ در نرخ کرنش‌های مختلف نشان می‌دهد که با افزایش سرعت بارگذاری، استحکام کامپوزیت در برابر نفوذکننده افزایش می‌یابد. در مقایسه نتایج نفوذکننده‌ها با دماغه‌های مختلف حاکی از آن است که بیشترین نیروی تماسی مربوط به نفوذکننده سرتخت و بیشترین انرژی جذب شده توسط نفوذکننده مخروطی می‌باشد. 1Department of Mechanical Engineering, Tafresh University, Tafresh, Iran. 2Department of Mechanical Engineering, Tafresh University, Tafresh, Iran. In this paper, the effective diameter of the punch and the speed of loading and geometry penetrating properties of quasi-static punching (QS-PS) laminate composites has been studied experimentally. The composites have 12 layers of 2D woven glass fiber with area density of 200 g/m2, is manufactured by Hand lay-up method. Epoxy resin systems is made of a diglycidyl ether of bisphenol A (DGEBA), Epon 828, as the epoxy prepolymer and Epikure F-205 as the curing agent. In this study, of two ratio of span 5 and 10 and three strain rate 5, 250 and 500 mm / min as well as three indenters with flat, conical and ogival used. The results of investigation ratio of span show that with decrease half size in the ratio of span, deform the target page lower and contact force 20% increases. Results punching shear at different strain rates shows that with increasing strain rate, composite strength increases. In comparing the results of indenter with different geometries indicate that the flat indenter has higher contact force and maximum of the absorbed energy is by the cone indenter. Gama, B.A., Gillespie Jr, J.W., “Punch Shear Based Penetration Model of Ballisti Impact of Thick-Section Composites,” Composite Structures, Vol. 86, No. 4, pp. 356–369, 2008. Xiao, J.R., Gama, B.A., Gillespie Jr, J.W., “Progressive Damage and Delamination in Plain Weave S-2glass/SC-15 Composites Under Quasi-Static Punch-Shear Loading,” Composite Structures, Vol. 78, No. 2, pp. 182–196, 2007. Hosura, M.V., Waliul Islam, S.M., Vaidya, U.K., Kumar, A., Dutta, P.K., Jeelani, S., “Dynamic Punch Shear Characterization of Plain Weave Graphite/Epoxy composites at Room and Elevated Temperatures,” Composite Structures, Vol. 70, No. 3, pp. 295–307, 2005. Hosura, M.V., Waliul Islam, S.M., Vaidya, U.K., Dutta, P.K., Jelani, S., “Experimental Studies on the Punch Shear Characterization of Satin Weave Graphite/Epoxy Composites at Room and Elevated Temperatures,” Materials Science and Engineering A, Vol. 368, No. 1-2, pp. 269–279, 2004. Manzella, A.F., Gama, B.A., Gillespie Jr, J.W., “Effect of Punch and Specimen Dimensions on the Confined Compression Behavior of S-2 Glass/Epoxy Composites,” Composite Structures, Vol. 93, No. 7, pp. 1726–1737, 2011. Bye, B.X., Han, J.H., Lu, L., Zhou, X.M., Qi, M.L., Zhang, Z., Luo, S.N., “Dynamic Fracture of Carbon Nanotube /Epoxy Composites under High Strain-Rate Loading,” Composites: Part A, Vol. 68, No. 4, pp. 282–288, 2015. Harding, J., Dong, L., “Effect of Strain Rate on the Interlaminar Shear Strength of Carbon-Fiber-Reinforced Laminates,” Composite Science Technology, Vol. 53, No. 3, pp. 347-358, 1994. Jordan, J.B., Naito, C.J., (Gama) Haque, B.Z., “Quasi-Static, Low-Velocity Impact and Ballistic Impact Behavior of Plain Weave E-Glass/Phenolic Composites,” Journal of Composite Materials, Vol. 48, No. 20, pp. 2505–2516, 2014. 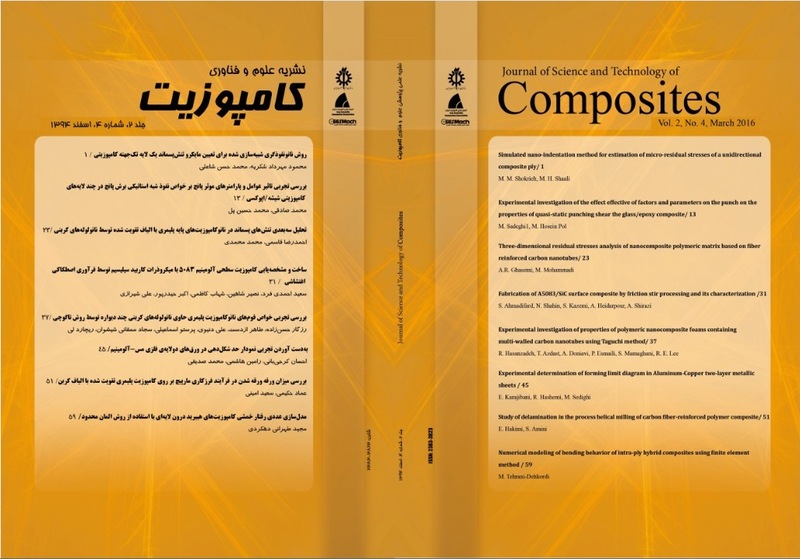 Yahaya, R., Sapuan, S.M., Jawaid, M., Leman, Z., Zainudin, E.S., “Quasi-Static Penetration and Ballistic Properties of Kenaf Aramid Hybrid Composites,” Materials and Design, Vol. 63, No. 2, pp. 775–782, 2014. Mines, R.A.W., Roach, A.M., Jones, N., “High Velocity Perforation Behavior of Polymer Composite Laminates,” Int J Impact Eng, Vol. 22, No. 5, pp. 61-88, 1999. Erkendirci, Ö.F., (Gama) Haque, B.Z., “Quasi-Static Penetration Resistance Behavior of Glass Fiber Reinforced Thermoplastic Composites,” Composites: Part B, Vol. 43, No. 8, pp. 3391–3405, 2012. Erkendirci, Ö.F., (Gama) Haque, B.Z., “Investigation of Penetration Mechanics of PW Kevlar Fiber Reinforced HDPE Composites,” International Journal of Damage Mechanics, Vol. 22, No. 3, pp. 304–322, 2012. MehrabaniYeganeh, E., Liaghat, G.H., Pol M.H., “Experimental Investigation of Quasi-Static Perforation on Laminated Glass Epoxy Composites by Indenters with Different Geometries,” InPersian, Modares Mechanical Engineering, Vol. 15, No. 1, pp. 185-193, 2015. Nemes, J .A., Eskandari, H., Rakitch, L., “Effect of Laminate Parameters on the Penetration of Graphite/Epoxy Composites,” International Journal of ImpactEngineering, Vol. 21, No. 1, pp. 97–112, 1998. Potti, SV., Sun, CT., “Prediction of Impact Induced Penetration and Delamination in Thick Composite Laminates,” International Journal of ImpactEngineering, Vol. 19, No.1, pp. 31–48, 1997. Pol, M.H., Liaghat, G.H., Sedighi, M., “Analytical Modeling of Perforation of Projectiles into Glass Epoxy Composites,” In Persian, Modares Mechanical Engineering, Vol. 12, No. 2, pp.11-19, 2012. Pol, M.H., Liaghat, G., Hajiarazi, F., “Experimental Investigation Effect of Nanoclay on Ballistic Behavior of Woven Fabric Composites,” In Persian, Journal of Composite Materials, Vol. 47, No. 13, pp. 1563-1573, 2013.